Registration is now open for our 2017-2018 Preschool program. 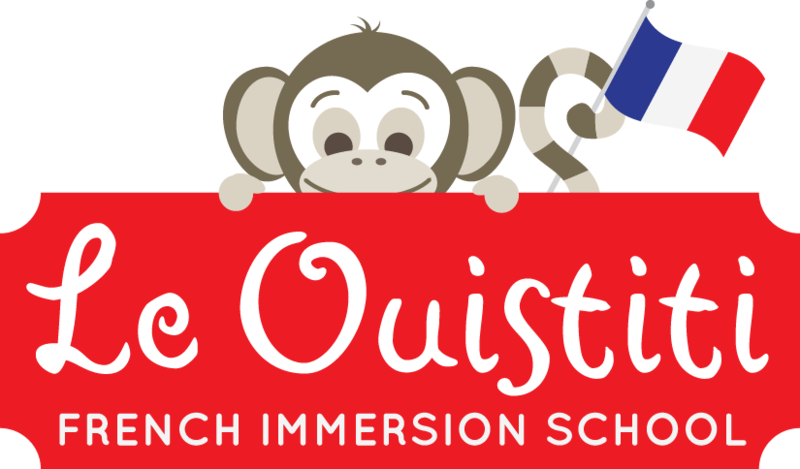 Le Ouistiti follows the preschool program established by the French Ministry of Education on February 18th 2015. This new program puts a strong emphasis on the emotional well being of the child and the important role the preschool plays in a child’s life. We believe that preschool is the first step in guaranteeing the success of all students in an educational environment that is just and holds high expectations of all its students. This time in one’s education, despite being non-compulsory, establishes the educational foundations for all of one’s future and lifelong studies. Each of these five fields is essential to the balanced development of a preschooler and is present in our day-to-day activities as we work to ensure a rich learning environment for our students. The word “language” here encompasses speaking, listening, thinking, trying to understand and, progressively, reading and writing. Physical activity stimulates and enriches the imagination and is an occasion to express emotions and new sensations. It lets children explore their physical abilities, enhance their motor skills and better situate themselves in time and space. We use these moments of physical activity to develop cooperation, establish constructive partnerships and respect of our differences. This pertains to the visual arts (painting, sculpting, drawing, photography, cinema, comic books, graphic art, numerical art), auditive arts (songs, instrumental and vocal music) and to the living arts (dance, theatre, circus arts, puppetry etc.). We take pride in opening up these artistic universes to our students and guiding them as they acquire their own personal artistic affinity. One of our objectives is to bring children to progressively consider time and space as dimensions that are relatively independent from the activities at hand and to start treating them as such. We help our students to discover, organize and understand the world around them. We propose activities that will bring the children to observe, formulate rational questions, build relations between observed phenomena, predict consequences, and identify characteristics susceptible to being organized. This is the time when they begin to comprehend what separates the living from the non-living; they manipulate and build to familiarize themselves with objects and matter.